Carla L. Garrett, Administrative Law Judge (ALJ), Office of Administrative Hearings (OAH), heard this matter on August 23, 2011 in Mission Viejo, California. Tania L. Whiteleather, Attorney at Law, represented Student. Student’s mother (Mother) attended the hearing. Also, Christopher Russell, paralegal for Ms. Whiteleather, attended the hearing. Epiphany Owen and Glenn S. Goldby, Attorneys at Law, represented Saddleback Valley Unified School District (District). District representatives, Dr. Rona Martin, Director of Special Education, and Deborah Miller, Program Specialist, attended the hearing. Student filed her request for due process hearing (complaint) on April 18, 2011. On May 11, 2011, Student filed an amended complaint. On June 23, 2011, for good cause shown, OAH granted District’s request to continue the due process hearing. On August 23, 2011, at the close of the hearing, the parties were granted permission to file written closing briefs by September 9, 2011. After the parties’ timely filed their closing briefs, the matter was submitted and the record was closed. On September 9, 2011, Student filed a “Motion to Reopen the Hearing and For Judicial Notice of Board Policies/Administrative Regulation.” On October 3, 2011, for failure to establish good cause, OAH denied Student’s motion. Did District deny Student a free appropriate public education (FAPE) by failing to provide Student with requested copies of all of Student’s educational records? 1. Student is a nine-year-old girl, who, at all relevant times, resided within the boundaries of District, and is eligible for special education under the category of specific learning disability. 2. Student has numerous medical issues. Specifically, Student has swallowing difficulties which cause her to aspirate when she drinks. As a result, Student’s drinks must be mixed with a thickening agent. In addition, in June or July of 2009, she was diagnosed with developmental coordination disorder, which causes her to be more prone to tripping and falling, and interferes with her balance. Student also has tight Achilles tendons, which results in difficulty running, jumping, skipping, and hopping. Consequently, Student must wear an ankle-foot orthopedic brace on each foot for support. Student also has ocular motor issues, as well as sensory issues that impact her ability to know where her body is in space. 3. 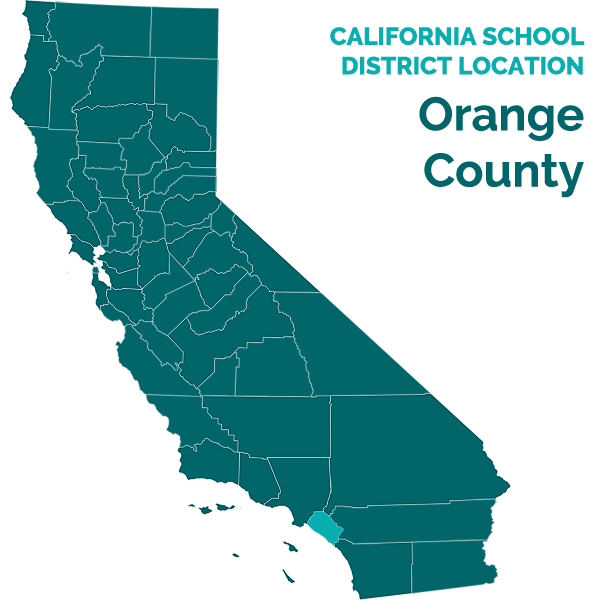 In September 2009, when Student was eight years old and in the second grade, she began attending school at District’s Rancho Canada Elementary School (Rancho). Student previously attended school in Oregon. When Student began attending Rancho, Mother collaborated with Dianne Beckman, who was District’s health service specialist, and Student’s physician on developing a health plan for Student to address her medical needs at school. Specifically, the initial health plan addressed Student’s swallowing difficulties, and included references to Student’s developmental coordination disorder, but included no specific plans on how to address any coordination issues. The health plan mainly focused on the need to add thickener to Student’s drinks to keep her from aspirating. All other health plans developed for Student during the 2009-2010 school year, which were updated quarterly, only addressed Student’s swallowing issues, and not any balance or coordination issues. 4. In September 2010, Student began attending Rancho as a third grader. As in the previous school year, Mother, Ms. Beckman, and Student’s physician collaborated on all health plans for Student for the 2010-2011 school year. All health plans, which were updated quarterly, addressed Student’s swallowing issues only. 5. District’s health service specialist, Ms. Beckman, who testified at hearing, has a bachelor’s degree in nursing, and a master’s degree in education. In her capacity as a health care specialist, she coordinates health services for District, and provides training to District’s health aides, including training in CPR, first aid, and on revisions to health procedures. During her collaborations with Mother and Student’s physician to develop and update Student’s health plans during the 2009-2010 and 2010-2011 school years, with the exception of the initial health plan developed in September 2009, neither Mother nor Student’s physician requested that balance and coordination be addressed in Student’s health plans. 6. In October 2010, Student fell from the play structure on the school yard. Rancho’s health aide, Mary Albergo, called Mother and advised her that Student had fallen, but was fine. When Student returned home from school, Mother discovered that Student had broken her foot-ankle brace and bruised her calf as a result of her fall. At the time, Mother did not initiate any discussion with personnel at Rancho regarding the circumstances surrounding Student’s injury or any first aid rendered as a result. Mother also did not request an individualized education program (IEP) team meeting to discuss the injury or possible changes to Student’s health plan. 7. On March 15, 2011, Student fell off the jungle gym at school and injured her right wrist. Student was taken to the health office, where Ms. Albergo treated her with ice. Ms. Albergo then called Mother and advised that Student had fallen, that she had given Student ice, and that Student appeared fine. Ms. Albergo also advised Mother that Student had returned to class. When Student came home from school, she told Mother that her wrist hurt. Mother noticed swelling around Student’s wrist. Consequently, Mother took Student to the emergency room and learned that Student had fractured her radius bone. 8. Ms. Albergo, who testified at hearing, has worked as a health aide for District for 12 years. She received a certificate of completion for medical assisting from the Bryman Institute, where she was trained to draw blood, conduct EKGs, take blood pressure, administer first aide, perform CPR, and sterilize instruments. Her duties as a health aide include administering first aide to students who are injured or sick. She also administers medication to students pursuant to health plans and District protocol. She prepares medical records that are maintained in Rancho’s health office that include the dates, times, and reasons a student visits the health office, as well as a description of how Ms. Albergo provided treatment to the student. For Student, Ms. Albergo monitors her food intake, mixes thickener in her drinks, and ensures that Student takes her medication. Ms. Albergo explained that on the day Student injured her wrist, she did not know that Student had fractured it, as Student appeared fine, was animated with her arm movements, and complained of only minimal pain. 9. On March 16, 2011, when Ms. Albergo learned of Student’s injury, she prepared an incident report. At hearing, Ms. Albergo explained that she is the main one at Rancho who prepares incident reports, which are documents provided to District’s attorneys should an incident result in a legal action. In general, incident reports include the name of the student, the date and time of the injury, and a description of what kind of aid Ms. Albergo rendered to the student. The incident report also includes the student’s account of how the injury occurred, which is written and signed by the student. After completing an incident report, protocol requires Ms. Albergo to forward the report to Rancho’s principal, Thomas Potwora, for his review and signature. Thereafter, Mr. Potwora forwards the incident report to District’s business office, specifically to the risk management department. After completing the incident report concerning Student, Ms. Albergo followed protocol and forwarded the report to Mr. Potwora, who reviewed and signed the report. Mr. Potwora then forwarded the incident report to the risk management department, which received the incident report on March 17, 2011. 10. Mr. Potwora, who provided testimony at hearing, has been the principal at Rancho for three years. Mr. Potwora’s purpose in reviewing incident reports before forwarding them to District’s business office is to ensure he is aware of all accidents at his school, and to take appropriate steps to keep students safe. For example, if an accident was the result of faulty equipment, he takes steps to make sure the equipment is repaired immediately. Also, if a child has caused the accident of another child, he takes steps to address the issue. 11. On March 16, 2011, Mother left a message for Mr. Potwora requesting a copy of the incident report regarding Student’s wrist accident, as well as an incident report regarding Student’s previous accident where she broke her brace and bruised her calf. At hearing, Mother explained that she felt the incident reports would tell her exactly what happened, and how District treated Student for her injuries. Later that evening, Mr. Potwora called Mother and advised that he did not believe he could provide her with any incident reports, because they were privileged documents, but indicated that he would check into it. Thereafter, Mr. Potwora advised District’s risk management department of Mother’s request. 12. On March 17, 2011, Vicki McCormick, who is a business services technical assistant for District’s risk management department, called Mother and advised her that District could not release any incident reports, because it was the District’s policy not to do so. Ms. McCormick, who testified at hearing, has worked for District as a business services technical assistant since 2005. Her duties include maintaining the property, liability, and risk management files. She also maintains the incident reports for District. Ms. McCormick explained that incident reports are internal District documents that are not maintained in students’ files. Rather, the incident reports are maintained in the risk management department in a confidential manner in a file for each corresponding school year. The following words appear on the front cover of each file: “Attorney-Client, Work Product, Privilege.” Ms. McCormick explained that the incident reports are prepared in the anticipation of litigation, and then forwarded to District’s counsel, if necessary. 13. On March 17, 2011, Mother filed a complaint with the Orange County Sheriff’s Department (Sheriff’s Department) because she felt that Rancho had been negligent in her child’s care, and wanted the fractured wrist incident documented by the police department. Specifically, Mother had concerns about Student’s welfare at school, as the school seemed unaware of Student’s injuries, and the school would not provide her with any incident reports concerning Student’s falls and injuries. The Sheriff’s Department interviewed Mr. Potwora about the incident, and prepared a report on March 22, 2011. The Sheriff’s Department took no further action. 14. On March 24, 2011, Mother sent Mr. Potwora an email again requesting the incident reports for the broken brace incident, as well as the fractured wrist incident. Two or three weeks following Mother’s request, she received a letter from District’s counsel indicating that District could not release any incident reports to Mother. 15. With the exception of requesting incident reports, Mother initiated no discussion nor asked any specific questions of anybody at Rancho regarding the circumstances surrounding Student’s injury, or of the first aid rendered as a result. Mother also never requested an IEP meeting to discuss the injury. 16. Student never returned to Rancho after the day of her wrist accident, because Mother was concerned about Student’s welfare at Rancho. Mother subsequently requested that Student be placed at another school. In response, Dr. Rona Martin, Director of Special Education, initiated and scheduled an IEP team meeting for the specific purpose of changing Student’s placement from Rancho to La Madera Elementary School (La Madera). Mother requested that Ms. Albergo attend the upcoming IEP meeting. At the time of the IEP meeting, Mother attended, but Ms. Albergo did not. At the meeting, Student’s placement was changed to La Madera. Student began attending La Madera on April 1, 2011. 17. On April 18, 2011, Student filed a due process complaint alleging District failed to timely provide Student and her parents with copies of all of Student’s educational records by failing to provide the requested incident reports. 18. On or about April 21, 2011, Student’s counsel, Tania Whiteleather, submitted to District a request for Student’s educational records. Dr. Martin, who testified at hearing, is the custodian of records for special education students. Dr. Martin received her bachelor’s degree in exceptional education with an emphasis in emotional disturbance in 1967 from State University College of New York at Buffalo. She received her master’s degree in special education with an emphasis in emotional disturbance from Syracuse University in 1968. Thereafter, she received a certificate of advanced study in school administration in 1974, followed by a doctorate in educational administration in 1977 from State University College at Buffalo. She is an adjunct instructor at the University of California at Irvine, as well as at California State University in Fullerton. Dr. Martin retains California credentials in the areas of administration, multiple subjects, learning handicapped, and severely handicapped. She also retains credentials in Pennsylvania and New York. She has been the Director of Special Education for District for the last 26 years. At hearing, Dr. Martin explained that when she receives a request for education records regarding any special education student, she gathers all of the records, has them copied, and has them ready for the requestor within five business days. Dr. Martin, who had 725 pages of Student’s education records in her custody, sent Ms. Whiteleather a letter on April 28, 2011 indicating that she had made the requested copies, and that District would charge a copying charge of $72.50. 19. At hearing, Mr. Potwora advised that education records generally included a student’s test scores, previous report cards, transcripts from other schools, grades, student’s cumulative file, and other documents of similar nature. Mr. Potwora further explained that although a record of a student’s attendance were generally reflected on report cards, he did not know whether official attendance records were included in a student’s file. Rancho’s attendance office maintained the school’s attendance records. 20. On April 29, 2011, Mother contacted Dr. Martin and inquired whether the incident report that Student had signed was included in the education records. Dr. Martin advised Mother that since she was represented by counsel, Mother would need to direct her questions to her attorney. Mother and Dr. Martin then agreed that Mother would come to District’s offices on May 2, 2011 to review the education records. 21. On May 2, 2011, Mother visited District’s offices to inspect the education records. Mother reviewed the records, and noted that the incident reports were not included. Mother took pictures of some of the records, but did not take the records with her. Dr. Martin then forwarded the education records to Ms. Whiteleather, and waived the $72.50 fee. 22. At the beginning of May 2011, District’s counsel provided Ms. Whiteleather a portion of the incident report concerning Student’s wrist accident. Specifically, District’s counsel provided the part completed and signed by Student that included Student’s account of how the injury occurred. Student’s report, which was written in her handwriting, stated that some bees scared her, which caused her to fall off of the playground equipment. She indicated that no other student caused her injury, and that she reported her injury at once. 23. On May 4, 2011, Ms. Whiteleather sent a letter to District’s counsel acknowledging her receipt of the partial incident report concerning Student’s wrist. Ms. Whiteleather then requested, in essence, the entire incident report, as she considered the incident report an education record. 24. On May 11, 2011, Student filed an amended complaint again alleging District had failed to timely provide Student and her parents with copies of all of Student’s education records by failing to provide them with the requested incident reports. 2. Student contends District denied her a FAPE by not providing her parents with the requested incident reports to which they were entitled. Student argues that the incident reports were education records, because they identified Student on the reports. Student further contends that without the incident reports, District denied her parents of valuable information affecting Student educationally, because the requested information concerned Student’s health and safety. Consequently, Student’s parents never learned whether Student required more occupational therapy, more training on the jungle gym, or any other pertinent information to keep Student safe at school. District disagrees and contends that it provided Student’s parents with all education records, and that the incident reports were not considered education records. Rather, District argues that the incident reports were confidential, internal documents that were protected by the attorney-client privilege. District further contends that even if the incident reports were, in fact, education records, Student failed to establish how District’s failure to provide them resulted in a denial of FAPE. 11. In S.A. ex rel. L.A. v. Tulare County Office of Education (N.D.Cal. Sept. 24, 2009) 2009 WL 3126322, aff’d. S.A. v. Tulare County Office of Education (N.D. Cal. October 6, 2009) 2009 WL 3296653, the district court found that school district emails concerning or personally identifying a student that had not been placed in his permanent file were not educational records as defined under FERPA. The court, citing Falvo, stated that Congress contemplated that educational records be kept in one place with a single record of access to those records. Because the emails student requested had not been placed in his permanent file, and were therefore not “maintained” by the school district, the emails were not educational records and the school district was therefore not required to produce them under a request for student records under the IDEA. 12. Student failed to meet her burden of establishing by a preponderance of the evidence that the incident reports were educational records. Instead, the evidence showed, through the credible testimony of Mr. Potwora, Ms. Albergo, and Ms. McCormick, that the incident reports were internal District documents prepared in anticipation of litigation. As such, they were not maintained in students’ education files. Rather, according to the uncontroverted testimony of Ms. McCormick, District maintained them in a confidential manner in its risk management department of its business office, and kept them in a file for each corresponding school year. Each file bore the words “Attorney-Client, Work Product, Privilege,” and District forwarded them to District’s counsel only when necessary. 13. Case authority has firmly established that educational records are those that are kept in one place by a single central custodian. (See Falvo, supra, 534 U.S. at pp. 434435.) “Typical of such records would be registration forms, class schedules, grade transcripts, discipline reports, and the like.” (BRV, supra., 143 Cal.App.4th pp. 751-754.) Reports “not directly related to the private educational interests of the student,” are not education records when they are not “regularly maintained in a central location along with education records…in separate files for each student.” (Id. at p. 755.) In the instant matter, the incident reports were neither maintained in Student’s education file, nor were they directly related to the private educational interests of Student. In other words, the incident reports, which were prepared in anticipation of litigation and maintained in non-student files in District’s risk management department, did not relate to Student’s identification, evaluation, or educational placement. Rather, they related to the documentation of accidents or incidents occurring on school property. As such, the incident reports were not education records, and did not have to be produced by District. 2 Both parties argued extensively about whether the requested incident reports were covered by attorney-client or attorney work-product privilege. However, because the incident reports do not meet the definition of “educational records” for purposes of the IDEA, it is not necessary to address the parties’ privilege arguments.